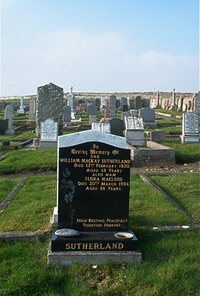 William Mackay Sutherland died 15th February 1950 aged 48. Wife Flora Macleod died 30th March 1994 aged 88. Now resting peacfully together forever.